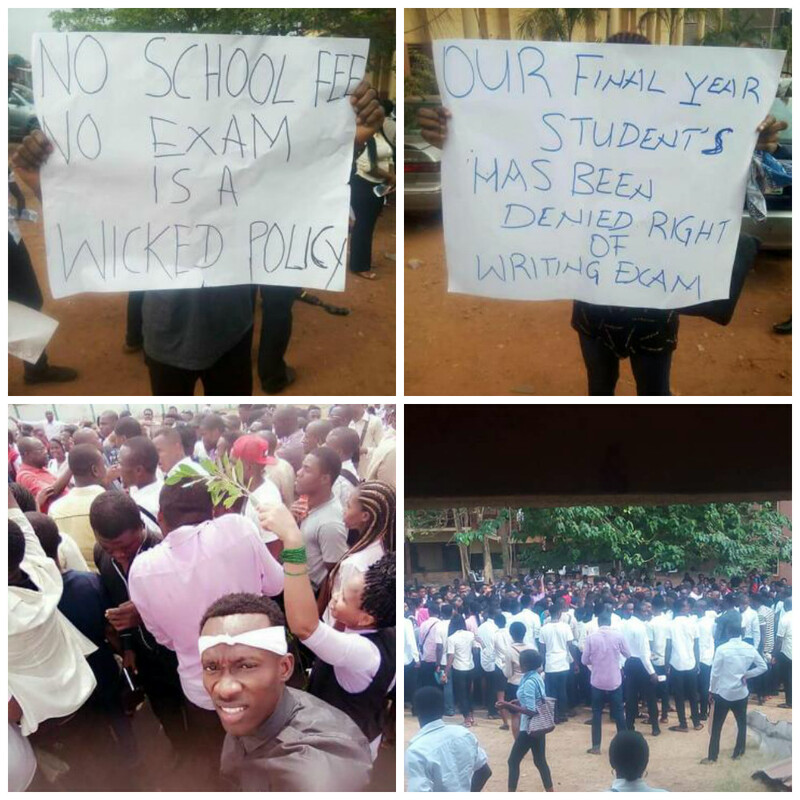 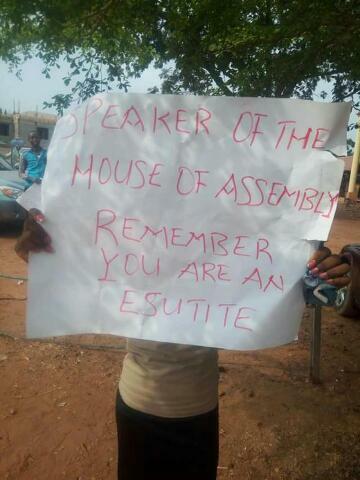 Students of Enugu State University of Technology,(ESUT) today went on a peaceful protest at government house, Enugu to make their demands known. First semester exams started yesterday and many students were driven out of the exam hall because of none payment of school fees. 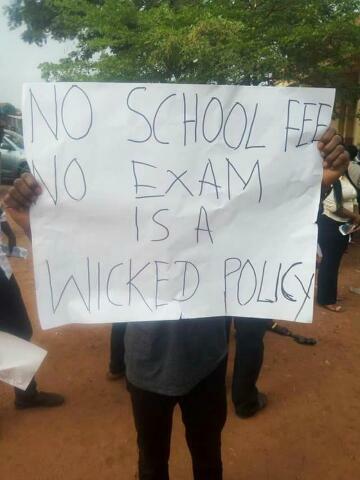 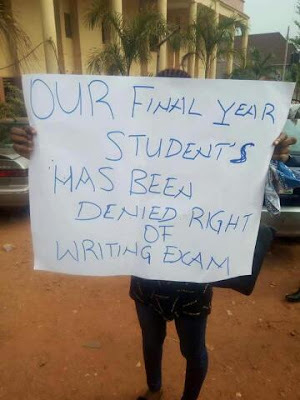 The students staged a protest to force the school administration to stop executing the No school fees No Exams policy.